Long Trail Brewing is nearing an agreement to resolve a lawsuit that alleged Burton Snowboards infringed on its “Take a Hike” trademark. “We’ve reached an agreement in principle and now we’re trying to document it,” Long Trail’s attorney, Kevin Henry of Primmer Piper Eggleston & Cramer PC, told Seven Days. The news last week that the two Vermont-born companies were battling in court generated plenty of buzz. The Bridgewater Corners-based beer company alleged Burton used its motto on clothing in violation of a decades-old trademark it held. 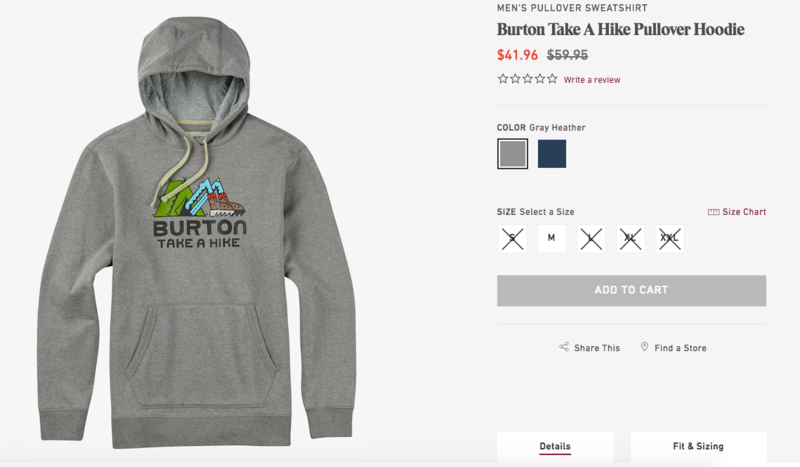 Burton’s website at the time sold at least two pieces of clothing, a hoodie and a T-shirt, with “Take a Hike” emblazoned across the bottom. The phrase was accompanied by an illustration of a tent with a person’s legs sticking out. “Burton has infringed Long Trail’s trademark ‘Take a Hike,’ engaged in unfair and deceptive practices, and traded on Long Trail’s goodwill and reputation, to the irreparable injury and damage of Long Trail,” the eight-page suit, filed in federal court last Wednesday, claims. But by Tuesday morning, the items had been pulled from the site. Henry, the attorney, said the company had agreed to stop selling merchandise using the phrase. He said a notice of dismissal would be filed in court once the settlement details are ironed out. Jake Burton Carpenter and Donna Carpenter, the Burlington-based snowboard company co-owners, said they were “happy to have it resolved and move on.” But they expressed dismay about the process taken by their neighbors to the south.